Access to and use of the City of Springfield World Wide Web site (the “Web site”) is provided subject to the following notices and disclaimers, which constitute terms and conditions governing use by all users of the Web site (“You” or “Your”). USE OF THE WEB SITE CONSTITUTES YOUR ACCEPTANCE OF THESE TERMS AND CONDITIONS. PLEASE READ CAREFULLY. If You do not agree to any of these terms or conditions, You should not use the Web site. DISCLAIMERS Disclaimer of All Warranties and Liability of the City The Web site is provided for Your convenience and information only. The City does not warrant or represent that the content is accurate, adequate, complete, current, legal, reliable, or free from technical inaccuracies, typographical errors, or changes caused by a third party. The City also does not represent or warrant that Your access to the Web site will be free from interruptions, errors, computer viruses or other harmful components. The City has no duty to update the Web site or any of its content. The information contained on the Web site should not be construed in any way as giving business, legal, or other advice. The foregoing disclaimer applies to both isolated and aggregate uses of any information on the Web site. Neither the City of Springfield, nor any of its officers, employees, agents, or third party providers shall be held liable for any improper or incorrect use of the information described or otherwise contained on the Web site and each of them assumes no responsibility for Your use of the information or the Web site. In no event shall any of these persons be liable for any direct, indirect, incidental, special, exemplary, or consequential damages of any nature or kind however caused and under any theory of liability, which arise in any way out of Your use of the Web site or any third party provider’s web site. This disclaimer of liability applies to any damages or injury, including but not limited to those caused by any failure of performance, error, omission, interruption, deletion, defect, delay in operation or transmission, computer virus, communication line failure, theft or destruction or unauthorized access to, alteration of, or use of record, whether for breach of contract, tortious behavior, negligence, strict liability, or under any other cause of action. THE INFORMATION CONTAINED ON THE WEB SITE IS PROVIDED "AS IS". ALL WARRANTIES OF ANY KIND, EXPRESS OR IMPLIED, INCLUDING BUT NOT LIMITED TO THE IMPLIED WARRANTIES OF MERCHANTABILITY, FITNESS FOR A PARTICULAR PURPOSE, FREEDOM FROM CONTAMINATION BY COMPUTER VIRUSES AND NON-INFRINGEMENT OF PROPRIETARY RIGHTS ARE DISCLAIMED. Changes may be periodically made to the information on the Web site; these changes may or may not be incorporated in any new version of the Web site. If You have obtained information from any of the City's web pages from a source other than the Web site be aware that electronic data can be altered subsequent to original distribution. Data can also quickly become out of date. You should pay careful attention to the contents of any data associated with a file, and You should contact the originator of the data or information with any questions regarding appropriate use. If You find any errors or omissions, we encourage You to report them to the City of Springfield by emailing our Webmaster. Disclaimer of Endorsement The City of Springfield may be a distributor of content sometimes supplied by third parties and users. Any opinions, advice, statements, services, offers, or other information or content expressed or made available by third parties, including information providers, users, or others, are those of the respective author(s) or distributor(s) and do not necessarily state or reflect those of the City of Springfield and shall not be used for advertising or product endorsement purposes. Reference herein to any specific commercial products, process, or service by trade name, trademark, manufacturer, or otherwise, does not constitute or imply its endorsement, recommendation, or favoring by the City. Disclaimer for External Links The City of Springfield is not responsible for the contents of any off-site pages referenced. You specifically acknowledge that the City is not liable for the defamatory, offensive, or illegal conduct of other users, links, or third parties and that the risk of injury from the foregoing rests entirely with You. Links from the Web site on the World Wide Web to other sites do not constitute an endorsement from the City. These links are provided as an information service only. It is the responsibility of the web surfer to evaluate the content and usefulness of information obtained from other sites. The Web site may contain links to other related World Wide Web Internet sites and resources. Because the City is not responsible for the availability of these outside resources or their contents, You should direct any concerns regarding any external link to its site administrator or webmaster. Disclaimer of Duty to Continue to Provide Data Due to the dynamic nature of the Internet, resources that are free and publicly available one day may require a fee or restricted access the next, and the location of items may change as menus, homepages, and files are reorganized. You expressly agree that use of the Web site is at Your sole risk. The City does not warrant that the service will be uninterrupted or error free. The documents and related graphics published on the Web site could contain technical inaccuracies or typographical errors. Changes are periodically added to the information herein. The City and its respective agencies and programs may make improvements and other changes in the information and programs described herein at any time. PRIVACY NOTICES City of Springfield Privacy Notice As discussed below, the City may obtain information from You as a result of Your use of the Web site. The City will only use Your Personal Information (see below) in ways that are compatible with the purpose for which this Personal Information was obtained. The City does not sell Your Personal Information. Moreover, the City strives to protect all Personal Information obtained from You and has taken several steps to safeguard the integrity of its telecommunications and computing infrastructure. Security measures have been integrated into the design, implementation and day-to-day practices of the entire operating environment as part of the City’s continuing commitment to risk management. However, the City and its third party providers simply cannot guarantee absolute security or that unauthorized third parties will never be able to overcome our security measures. YOU AGREE THAT THE CITY AND ITS THIRD PARTY PROVIDERS HAVE DISCLAIMED ALL LIABILITY ARISING OUT OF THE DISCLOSURE OF ANY INFORMATION OBTAINED FROM YOU, INCLUDING YOUR PERSONAL INFORMATION. In addition, City of Springfield rules and regulations exist to ensure that government is open and that the public has a right to access appropriate records and information possessed by City government. There are exceptions to the public's right to access public records provided by applicable laws, including the privacy of individuals. However, You are advised that some information collected at the Web site may become a public record subject to inspection and copying by the public unless an exception in the law applies. In addition, the City will cooperate with law enforcement and judicial authorities by providing Your Personal Information as necessary. The City reserves the right to report any activities that the City believes in good faith to be unlawful. You acknowledge that the City may disclose any information obtained from You when required by law or regulation. 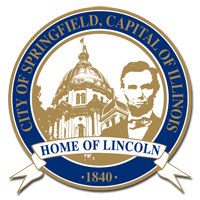 Information that may be collected and how it may be used Even if You do nothing during Your visit to the City of Springfield Web site but browse or download information, we may automatically collect and store the following information about Your visit: 1. The Internet Protocol (IP) address and domain name used but not the email address. The Internet Protocol address is a numerical identifier assigned either to Your Internet service provider or directly to Your computer. We use the Internet Protocol Address to direct Internet traffic to You; 2. The type of browser and operating system You used and Your connection speed; 3. The date and time You visited the Web site; 4. The web pages or services You accessed at the Web site; and 5. The web site You visited prior to coming to the Web site. The information we may automatically collect or store may be used to improve the content of our web services and to help us understand how people are using our services. The City of Springfield analyzes our Web site logs to continually improve the value of the materials available on the Web site. These Web site logs are not personally identifiable, and we make no attempt to link them with the individuals that browse the Web site. The information collected may not be limited to text characters and may include audio, video, and graphic information formats You send us. Personal Information you provide may be collected and retained about You if You submit a job application, participate in a survey, complete an online form, or send an email. You will be asked to submit Personal Information for online transactions conducted through the Web site or the web sites of the City’s third party providers’ linked through the Web site. This Personal Information will vary depending on the transaction, but in each case the Personal Information requested will likely be identical t o the Personal Information that would be required if you performed the same transaction in person. Some examples are: 1. Job application: All information You provide to complete an on-line job application will be collected by the City through a third party provider. To complete the application, You will be re-directed to the third party provider’s web site. This third party may only process Your Personal Information according to the City’s instructions, and the City, not the third party provider, maintains ownership of the data submitted. 2. E-mail correspondence: We may use Your email address and the contents of Your e-mail to respond appropriately, e.g., to respond to You, to address issues You identify, to further improve our Web site, or to forward the email to another agency for appropriate action. 3. Forms and Surveys: Any information You volunteered in response to the form or survey, including Personal Information (see below) may be used for the purpose designated by the Form or Survey. ALL PERSONAL INFORMATION VOLUNTARILY SUBMITTED BY YOU IS SUBJECT TO THE TERMS, CONDITIONS, DISCLAIMERS, AND NOTICES CONTAINED ABOVE AND BELOW AND WILL BE RETAINED IN ACCORDANCE WITH THE CITY’S RULES AND REGULATIONS. "Personal Information" is information about an individual that is readily identifiable to that specific individual. Personal Information includes personal identifiers such as Your name, address, phone number, and in the case of an on-line job application, other information submitted with the application. A domain name or Internet Protocol address is not considered Personal Information. We do not collect Personal Information about You unless You voluntarily participate in an activity that asks for information (i.e. completing a job application, sending an e-mail, filling in and sending an application or a form, or participating in a survey). If You choose not to participate in these activities, Your choice will in no way affect Your ability to use any other feature of the Web site. You are cautioned that the collection of Personal Information requested from or volunteered by children on-line or by email will be treated the same as information given by an adult and may be subject to public access. Access and Correction of Personal Information You may recommend changes to Your Personal Information You believe in error by submitting a written request that credibly shows the error. If You believe that Your Personal Information is being used for a purpose other than what was intended when submitted, You may contact us. In all cases, we will take reasonable steps to verify Your identity before granting access or making corrections. See Contact Information section below. THE DISCLAIMERS ABOVE SHALL APPLY IN EVERY RESPECT TO ANY DAMAGE OR INJURY RESULTING TO YOU FROM THE RELEASE OF PERSONAL INFORMATION YOU PROVIDE THROUGH THE WEB SITE OR ANY OF THE CITY’S THIRD PARTY PROVIDERS’ WEB SITES. BY SUBMITTING THIS INFORMATION, YOU ACKNOWLEDGE AND AGREE THAT YOU WAIVE ANY AND ALL CLAIMS AGAINST THE CITY, AND ITS OFFICERS, EMPLOYEES, AGENTS, OR THIRD PARTY PROVIDERS ARISING OUT OF THE RELEASE OF ANY PERSONAL INFORMATION YOU PROVIDE. MISCELLANEOUS Springfield City Contact Information To offer comments about the Web site, or to comment about the information presented in these Terms and Conditions Governing Use of the City of Springfield’s Web Site, please contact the Webmaster Choice of Law Construction of the disclaimers above and resolution of disputes thereof are governed by the rules and regulations of the City of Springfield and shall apply to all uses of this data and this system. By use of this system and any data contained therein, You agree that use shall conform to all applicable laws and regulations and You shall not violate the rights of any third parties. You voluntarily and freely submit to a court of competent jurisdiction in Sangamon County, Illinois, should any dispute arise between the City and You. Copyright This material is for the noncommercial use of the general public. The Fair Use guidelines of the U.S. copyright statutes apply to all material on the City of Springfield web site and linked agency Web pages. The City of Springfield shall remain the sole and exclusive owner of all rights, title and interest in and to all specifically copyrighted information created and posted for inclusion in this system. Photographs and graphics on the City of Springfield web site are the property of the City of Springfield, unless specifically stated otherwise. For copy or use of information on the Web site that is outside of the Fair Use provisions of copyright law, or if You have any questions on using material on the City of Springfield web pages, please Email the Webmaster. If permission to reproduce or redistribute is granted, the following statement shall be included on all reproduced information: "Reproduced with permission from the City of Springfield, Illinois." Accessibility Guidelines The City of Springfield attempts to make Web pages accessible and easy to navigate with audio screen readers. The Webmaster checks pages with a current-technology screen reader. Wherever possible, linked PDF files are in audio-readable format (although graphics incorporated in these files are not).